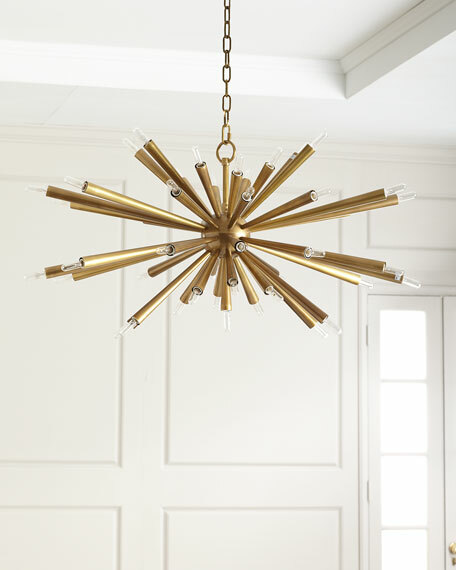 This 45-light brass starburst chandelier makes a spectacular, dramatic statement as it floats above a dining table or in an entry foyer. The brass arms taper as they migrate toward the center section. 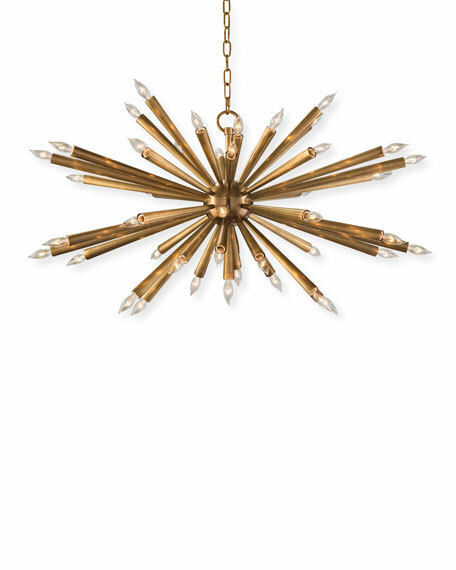 This chandelier is reminiscent of the early orbital satellites. Uses candelabrum bulbs (not included). Boxed weight, approximately 41 lbs.